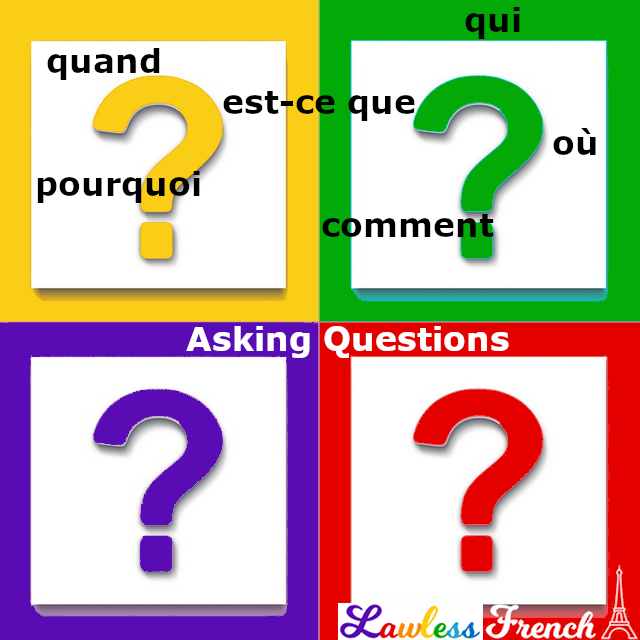 "To ask" = demander, but "to ask a question" = poser une question. You cannot say demander une question. 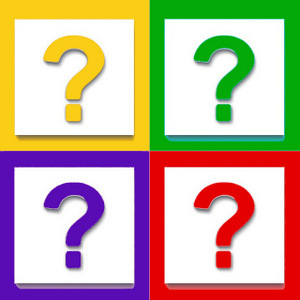 Questions which allow a limited selection of answers – a simple "yes" or "no" – are called closed questions. In English, closed questions always start with "do," "be," or "have," while in French they typically start either with the phrase est-ce que or with inversion. The phrase est-ce que (literally, "is it that") is the inversion of c’est que ("this is that"). In reality, est-ce que has no meaning at all – it simply goes in front of a statement to turn it into a question. This is the most common way to ask questions. Est-ce que vous aimez voyager ? Do you like traveling? Est-ce qu’il est prêt ? Is he ready? Est-ce qu’elles ont mangé ? Have they eaten? Note that a space is required in front of the question mark in French. Aimez-vous voyager ? Do you like traveling? Est-il prêt ? Is he ready? Ont-elles mangé ? Have they eaten? In an informal situation, when you expect the answer to your question to be yes, you can ask by simply making a statement and raising your pitch at the end, just like in English. Vous aimez voyager ? You like traveling? Il est prêt ? He’s ready? Elles ont mangé ? They’ve eaten? Vous aimez voyager, n’est-ce pas ? You like traveling, right? Il est prêt, n’est-ce pas ? He’s ready, isn’t he? Elles ont mangé, n’est-ce pas ? They’ve eaten, haven’t they? N’aimez-vous pas voyager ? Vous n’aimez pas voyager ? Don’t you like traveling? You don’t like traveling? N’est-il pas prêt ? Il n’est pas prêt ? Isn’t he ready? He isn’t ready? N’ont-elles pas mangé ? Elles n’ont pas mangé ? Haven’t they eaten? They haven’t eaten? When you ask for information about who, what, when, etc., you’re asking an open question. In French, just place the question word* in front of est-ce que or inversion. Où est-ce que vous aimez voyager ? Où aimez-vous voyager? Where do you like to travel? Quand est-ce qu’il sera prêt ? Quand sera-t-il prêt ? ** When will he be ready? Pourquoi est-ce qu’elles n’ont pas mangé ? Pourquoi n’ont-elles pas mangé ? Why haven’t they eaten? ** When an inverted verb ending in a vowel is followed by a pronoun beginning with a vowel, t- must be placed between them for euphony.